Posted on November 21, 2015 by Appropos / This entry was posted in Informative. Bookmark the permalink. One often struggles to find a pleasure on par with that of smoking out of a clean glass bowl for the first time. Nothing beats a completely pure vessel providing you with uninhibited smoking pleasure, but after time and consistent use, pieces become clogged, dirtied, and soiled by sticky, smelly resin. Luckily pipes can be cleaned quickly and easily using a few materials found around your home or bought from your local pharmacy, keeping your bowl looking and feeling as good as new. To clean your bowl, you’ll need to gather three main materials: one sealable plastic bag or tupperware container, some sea salt, and a bottle of isopropyl alcohol with an alcohol content above 70 percent – higher percentages help clean the bowl more efficiently. 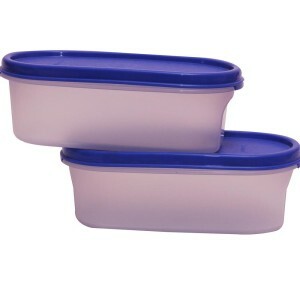 Place your bowl inside of the plastic bag or tupperware container. Fill the bag with the isopropyl alcohol until the entire bowl is submerged. Add a tablespoon of sea salt to act as an abrasive, and let the pipe sit and soak for about two hours. After two hours, the resin in the pipe will have been weakened and began to have broken down. Pick the bowl up inside the bag and shake it vigorously for about five minutes. This will loosen the resin and force it out of the pipe and into the bag or container. After a moment of shaking, take a look at the bowl. Are there still deposits of resin clogged in certain parts of the pipe? A pipe may require additional cleaning if extremely dirty. If so, you have a few options, including starting the process over. Pipe cleaners are also an excellent tool for ridding unwanted debris with. If your pipe is clean enough for use, simply remove it from the bag or container and rinse it in warm, soapy water. Dispose of the alcohol carefully, as the resin it has removed will stain anything it touches. Wipe the bowl clean with a towel and let it sit until fully dry. Your bowl will be as good as new and ready for continued use. Allow plenty of time for soaking your bowl. The alcohol may not permeate the resin right away, so allowing ample time will assure cleaner glass. Make sure you have an airtight seal on your bag or container when shaking. A mistake such as an inconsistent seal will make for a huge mess. Nobody wants to splash resinated alcohol on themselves. Use paper towels to create a seal in joints and mouthpieces if cleaning a waterpipe. This will prevent alcohol from splashing out while shaking. Thoroughly rinse your piece before using. Failure to do so could result in the inhalation of dangerous vapors. Boil your bowl in hot water. This can cause steam stains on glass as well as heat stress which can lead to fractures. 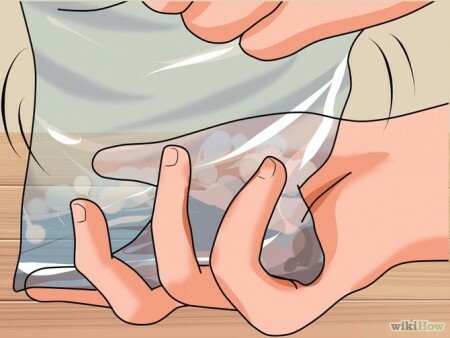 Shake your bag or container too hard, especially when cleaning multiple glass pieces in one container. This can easily break a bowl or downstem. Forget to buy more supplies. A dirty water pipe or bowl is a perpetual problem so it’s best to keep these materials on hand and stocked. 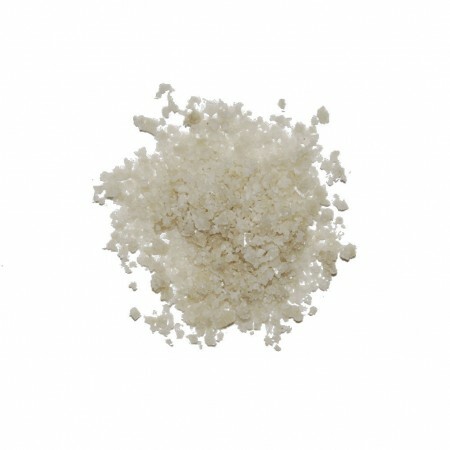 At Sunflower Pipes we also carry Formula 420, a concentrated solution comprised of isopropyl alcohol and large grain salt. The solution is so powerful you can actually get 2-3 uses from it before needing to add more. 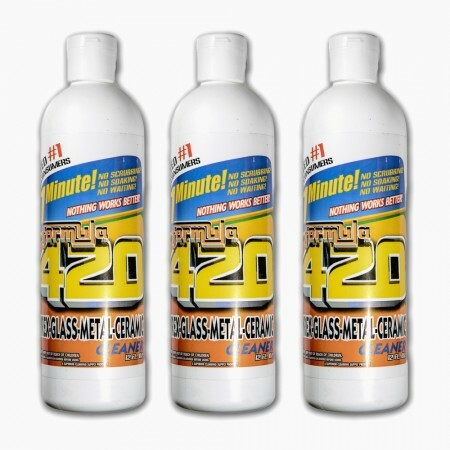 Utilizing Formula 420’s patented AbrasivAction cleaning technology allows you to simply pour the solution into your water pipe, shake and rinse. 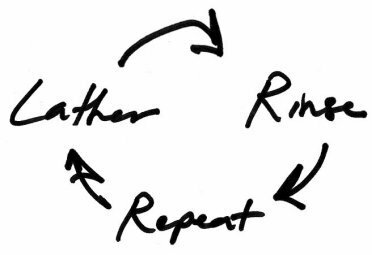 Your pipe or water pipe will be fresh and clean within minutes, with no need to soak. 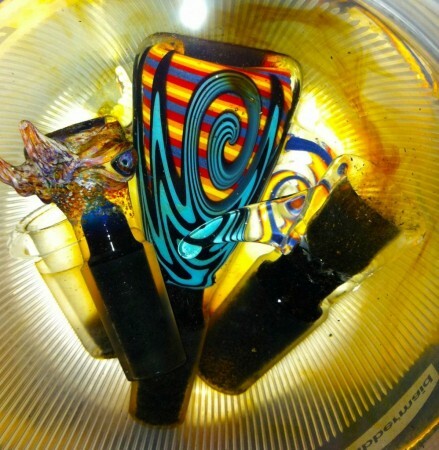 When compared to other materials to smoke with, glass is head and shoulders above the rest. We have listed a few of the many reasons here in our blog post titled “Toss That Old Metal Pipe, Glass Pipes Are Better!.” A fatal flaw in the use of glass pipes is that they’re not the most resilient materials against hard falls. A miscalculated elbow placement or too fast a movement can turn your beautiful piece of functional art into a sad heap of useless shards. Below we’ll be listing a few steps you can take to prevent glass breaks and to further help yourself in protecting any future glass investments. One of the biggest steps you can take in protecting your pipe from a fatal break is investing in a solid pipe. Be sure to shop around when it comes to choosing the right pipe for you. Definitely take into consideration where your glass is coming from. Chinese glass manufacturers are notorious for using less than quality glass usually in a lower price range while American glass companies tend to stick with high quality borosilicate glass, which will typically boast a heftier price tag. When investing in a pipe, you’re truly making an investment. Ask yourself if you’d rather pay $10 for a pipe you will more than likely need to replace or $25-$30 for a pipe that can withstand quite a drop. The difference in price is usually the difference in quality, durability, and creativity. If you’re a person that is on the go or a true klutz at heart, you may want to ask about inside-out double blown options or consider using a dugout/bat combination. A pipe with a flat bottom bowl or a roll bead will also prevent your pipe from rolling from a flat surface. Creating a safe-zone for your pipe could very well be a determinate factor in the life of your piece. A small storage box, an elevated shelf (if your pipe has a flat bottom or roll bead. ), or a backpack will serve as an excellent place to store your pipe when not in use. This will prevent you from misplacing your pipe and potentially dropping it somewhere. Far too many times has the tale of a clumsy friend breaking a glass pipe been told and creating a designated safe-zone for your pipe will keep your friends on their toes when handling your piece. Most smokeshops will carry a variety of different branded cases in which you can store your water pipe. They’re usually zippered pouches with lined pockets and plush cushioning around the outside for added protection against falls and bumps. These will typically value at anywhere between $15-$30 depending on size but are very useful investments when dealing with an expensive or delicate glass piece.